Wow. I cannot believe that we are almost halfway through August! Temperatures are high, but we’re all dying to start bringing out the boots and sweaters. So since we’re hitting mid-August/almost-September, I thought I’d start putting together posts centered around the mysterious “Fall Transitional” period. For Texans like me, this is quite a hard look to master because the temperatures will stay sky high until about October if we’re lucky. 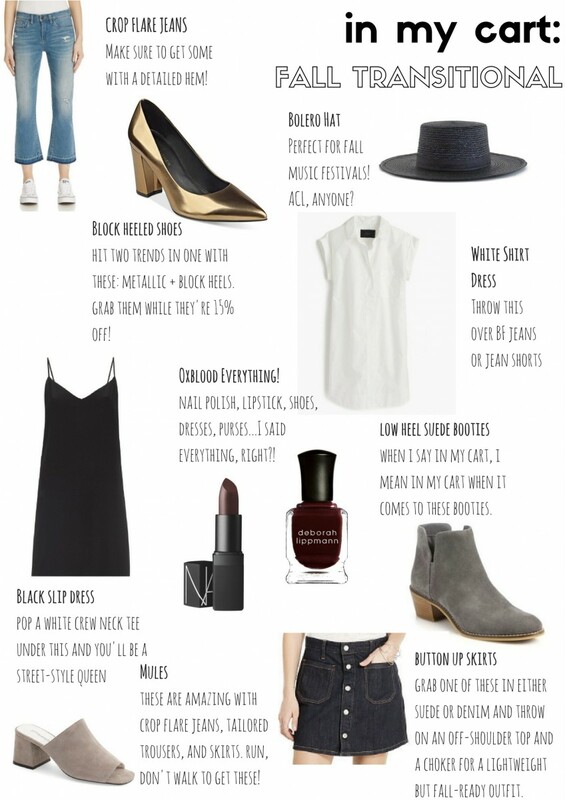 So I’ve decided to put together items that are in my cart/on my wishlist for this Fall Transitional period (that can also be worn in that Texas heat)! Oxblood everything: heels, dresses, nail polish – and more!